Acting President Yemi Osinbajo said on Thursday the Federal Government has no plan to deregulate the downstream sector of the petroleum industry. He said any attempt to deregulate the sector would lead to increase in prices of petroleum products, especially Premium Motor Spirit (PMS). Osibanjo, who stated these during the 2017 African Modular Refinery Discussion, organized by the Modular Refiners Association of Nigeria (MRAN), said the plan would have serious consequences on the nation’s economy. He also condemned government’s involvement in the failure and near collapse of the Kaduna, Warri and Port Harcourt refineries. The acting President said in the modular refineries initiative, oil producing communities would be made to acquire stakes in refineries set up in their locality, while federal government, state governments and private investors would have stakes in the projects. 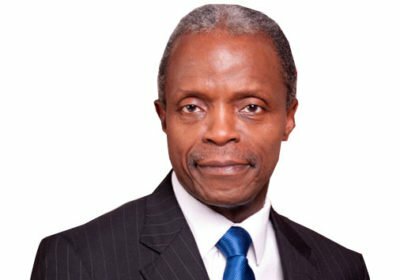 Osinbajo, who insisted that federal government is committed to creating an enabling environment for private sector participation and investments in modular refineries, said the government is aware of the challenges and complications posed by non-deregulation of the sector. He said complete deregulation of the petroleum sector would bring untold hardship on vast majority of Nigerians. He said, “There are those who are saying we need to deregulate fully. Why are they saying that? It is because if we do not deregulate, it is not cost effective for those who are producing PMS to sell. At the same time, if you deregulate completely, prices of everything else is going to go up.